4-3-1-2: Will this be the Man Utd XI to face Chelsea in FA Cup final? Manchester United face Chelsea in the 2018 FA Cup final at Wembley Stadium on Saturday, looking to tie Arsenal’s record as 13-time champions in the world’s oldest football cup competition. You can take your pick of sports betting codes for backing United in a game they go in as marginal favourites. Our head-to-head record with the Blues this season is a win each, having lost 1-0 at Stamford Bridge back in November before running out 2-1 winners in our most recent fixture, at Old Trafford, in February. Jose Mourinho was able to make nine changes for Sunday’s 1-0 win over Watford with no league position to play for and with this weekend’s final in mind. The 2017-18 Sir Matt Busby Player of the Year was rested in the Premier League for the first time this past weekend after already wrapping up the Golden Glove award. Although Sergio Romero has made a number of appearances in the cup competitions this season there’s no doubt that David de Gea will be starting on Saturday. Captain Antonio Valencia will certainly start and we’re sure Chris Smalling will be recalled to the starting lineup. However, Ashley Young did start against Watford so it’s not certain that Mourinho won’t go with Luke Shaw in the cup final. We’re in favour of Young. Who will partner Smalling isn’t set in stone either. Marcos Rojo looked rusty on Sunday so the Argentine can be ruled out. Daley Blind was used in midfield so it’s between Eric Bailly and Phil Jones and we think Jose will go with the Ivorian. Nemanja Matic will certainly return to face his former club in front of the back four. Sunday’s game was the first time the Serbian didn’t feature in the Premier League for us this season. Paul Pogba is sure to start and the French international likes to show off in the big games so let’s hope he has a big game at Wembley. We think Ander Herrera will get the nod ahead of Scott McTominay with his tenacity in midfield to break up possession from the likes of Cesc Fabregas, Eden Hazard and Willian. There’s no injury update on Marouane Fellaini so far, who was absent over the weekend. Alexis Sanchez played the number 10 role in this fixture back at Old Trafford three months ago and looked lively. Given that the Chilean has had a couple of quiet games out on the left recently I can see the Portuguese coach sticking Sanchez behind the strikers to hurt the Chelsea defence. Romelu Lukaku should be fit again for the final after missing our final two Premier League games of the season and Jose has stated publicly that he has been missed in attack. 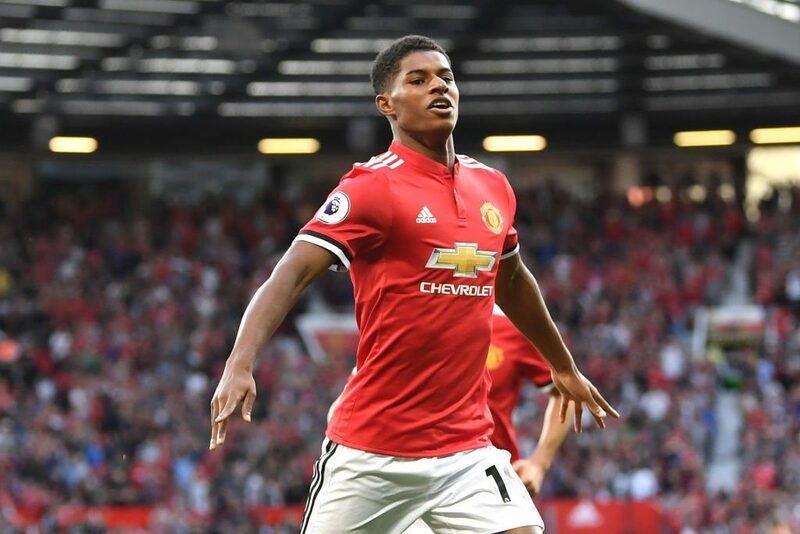 With Anthony Martial picking up an injury prior to our Premier League season finale, sure Marcus Rashford partners the Belgian if Jose goes for a 4-3-1-2 formation again.